How to start Windows 10 in safe mode with networking or command prompt. Boot PC into safe mode when F8 doesn't work or can't access Windows. When you bump into a problem where you need to restart and boot your PC into safe mode in order to do stuffs that weren’t allowed in normal mode, here’s a simple tutorial on how you can boot your Windows 10 PC in Safe Mode with or without networking. Safe mode is a mode where only a minimal amount of Windows system services running without all other installed software. 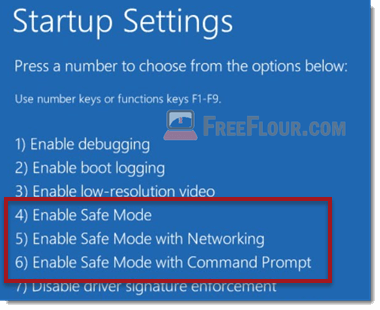 Safe mode are usually required when you can’t possibly remove or delete a file in normal boot up mode due to it being in used, possibly a malware or a background process that were running without your knowledge. 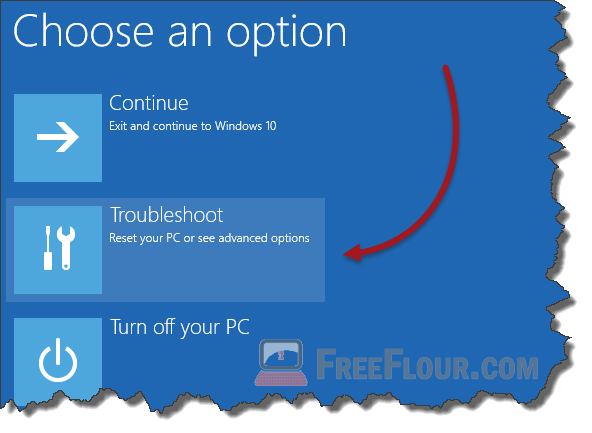 Rebooting or starting Windows 10 in safe mode can be done in several ways. We will list down all the methods and sort them from the easiest to the complicated ones (you will need them when the easier ones won’t work due to heavy viruses). Microsoft has made it much more easier to boot Windows into safe mode since Windows 10. You can now boot your Windows 10 PC into safe mode via the normal restart button. To boot Windows 10 into safe mode your next reboot, in normal mode, click on the windows start button. Select Power, while holding Shift key, click on Restart button. This can also be done via the login screen where you can also shut down or restart your PC. Once you have Shift + Restart button, Windows 10 will reboot into a blue screen (a normal one) where there will be several options. Select Troubleshoot > Advanced Options > Startup Settings > Restart. This screen will show you all the startup settings and windows options including safe mode the next time you reboot. After hitting the Restart button, Windows 10 will reboot again and this time, you can select to boot your Windows into safe mode. As usual in all previous Windows versions, you can boot your Windows 10 into safe mode in 3 different modes. Enabling safe mode, enabling safe mode with networking (with internet access), or enabling safe mode with command prompt (which only allows commands). Choose your desired option. Side tip: When you run into other specific problems, you may also want to try booting into other modes such as enable debugging, enable low resolution video, disable driver signature enforcement (driver error or hardware failure), disable early launch anti-malware protection (if your desired software won’t run due to antivirus constant blocking), disable automatic restart after failure. This method is in fact the faster way for a computer-literate person which requires you to open an advanced setting window. To boot your PC into safe mode in Windows 10 via msconfig.exe, go to Cortana (Windows Start search bar) and search for System Configuration and select it. You can also open msconfig by simply hitting Windows + R key and then type msconfig into the Run field to open the System configuration app. In the System Configuration window, go to the boot tab. Under Boot Options at the bottom, select Safe boot checkbox. 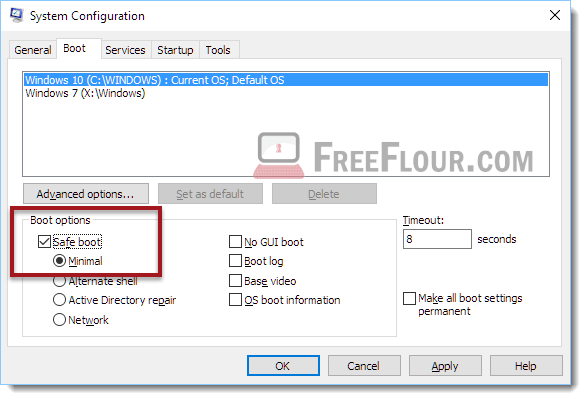 Here you can also select to boot Windows 10 into safe mode with network by simply selecting the Network radio button or leave it as Minimal. Click Apply, then OK. Click to restart your Windows 10 PC now. Windows 10 will now directly boot into safe mode without having to select any more option such as those in the method above. This method will come in handy when you can’t even access to your Windows 10 normally. But this will require you to have the Windows 10 USB system recovery drive. If you don’t have it and your Windows has gone so bad that you can’t access to it anymore, this method will not work for you. However, if you can access to your Windows, you can still create a USB recovery drive. 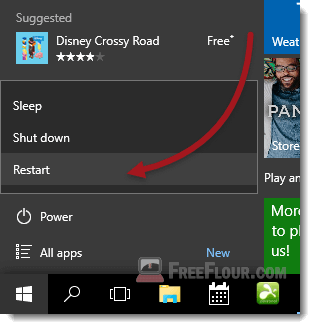 To create a recovery drive, go to Cortana (or Windows start button) and search for Recovery drive. Click Next and follow the on-screen instruction to complete the creation. Creating a USB recovery drive is highly recommended if you don’t already have one, especially if you value your data very much. Once you have your USB recovery drive (or CD) ready with you, connect it to your PC. Run Bios menu by pressing DEL, F12 or other key depending the model of your motherboard. Look for boot sequence, select to boot your USB drive first. Please be noted that this step may vary depending upon the type, brand and model of your PC motherboard and require a little knowledge in using BIOS. Do not attempt if you don’t know what you’re doing. The next restart will bring you to a Blue screen requesting you to select a keyboard layout. Select whichever language you prefer (US for English of course). The next screen will be the same exact step as the one we have mentioned in the first method above. Why didn’t we use F8 or Shift + F8 instead? Because of the massive improvement in Windows 10 boot time, the designer has eliminated most of the processes that would interrupt the boot time, including the F8 or Shift + F8 select drive feature. So, since Windows 8.1, F8 or Shift + F8 that were once worked in Windows 7 will no longer bring you the safe mode boot selection in Windows 10 and 8.1. In some rare cases, however, if you have a non-UEFI Bios motherboard and a non-SSD hard drive, you may still be able to use the F8 key to bring up the safe mode boot selection. Copyright © 2014-2017 Freeflour.com. All rights reserved. The content is copyrighted to SIN CHEONG and may not be reproduced in any form without written permission.